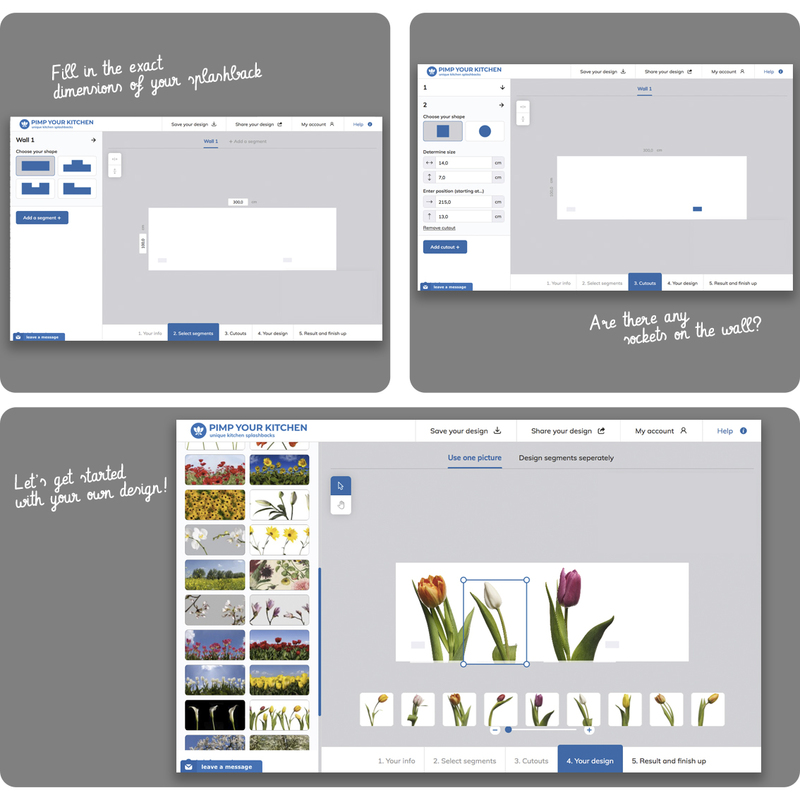 - Start with 'creating' and save your account, you can start now and finish it later. - Fill in the dimensions of the splashback. - Are there any electrical outlets on your wall? Take that in account before you start. - Choose the theme you have in mind. - View the final results at the last step, save it or order right away! Do you want some help or advice, please do not hesitate to email us, we will be glad to assist. If you wish to gether more information about how to correctly measure your kitchen wall, read our manual first and be a pro! 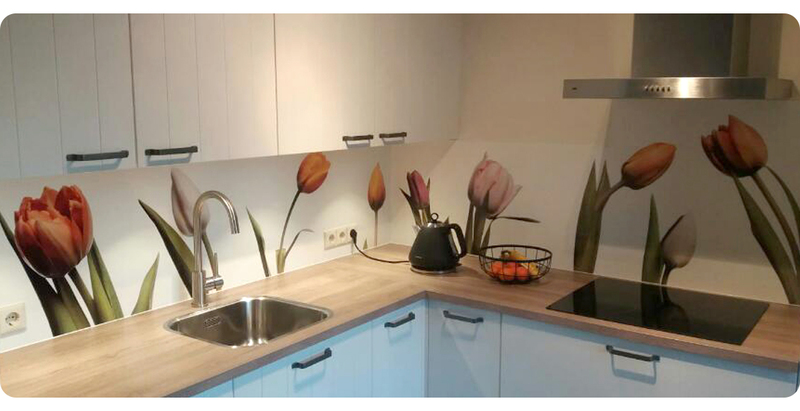 "Hello Jolien, this week we received our new kitchen splashback and we installed it yesterday. Look at the results! We're so happy with our new kitchen. And we've got a lot of great comments on it! Kind regards, Joyce en Martijn"